Seems the classic screwup from the anything-but-cars politicians. Real transit solutions presume that cars will be used for the home-to-something-else leg. That part of the equation works FAR BETTER in America as compared to Europe/Asia, and we’re not likely to give the politicians 1-2 more hours of our day. In that case, why have a something-else leg at all? If Larkspur is going to do this neighborhood parking district, they’re gonna need a way to let people know where the empty spaces are. Circling LL Circle won’t help. Maybe an electornic sign on SFD saying how many spaces are left in each lot? Or at each parking lot entrance like the ferry terminal has now? – Charge $2 a day for parking. – Use the parking fees to run shuttles west on Sir Frances Drake to/from Fairfax, and on 101 north to/from Novato. – Use the masses of parking at shopping centers along the way, which are virtually empty on weekdays, as Park and Ride lots. On SFD, many would just walk to the shuttle from their home. – Time the shuttles to the boats, and guarantee that the boat won’t leave before the shuttle gets there. – Using Clipper, shuttle passengers could “beep on” and pay $1, then when they “beep on” to the boat, the dollar is subtracted from their boat fee. That makes it free to boat passengers but charges others a nominal fee to get to that area. Charging for parking is an essential part of this. The “stick” of the parking charge is required to move people onto the buses, and also funds the buses. Additionally, people who live within walking distance who are currently driving will walk, and others will choose to carpool to reduce the cost. It’s all good. Providing transit timed to the boats reduces traffic in the area, reduces parking demand, and gives access to the ferry to those who can’t or choose not to drive – an option that doesn’t exist at present. I’m addressing the shuttle problem tomorrow, actually. My own analysis agrees with yours, though I’d just run it from the Transit Center for the sake of reliability and keep the 29 going on Sunday. As a sneak peak: TOD comes next, and overall ferry capacity will come after that. By the way, be sure to let GGBHTD know your opinion! They need to hear it. The farther up 101 you can get them onto transit, the fewer cars, less congestion, and cleaner air. I understand about reliability; one plus is that the bus will be in the (currently sparsely-populated) HOV lane most of the time, so that should help. The shuttles would also have to radio ahead to the boat and let them know how many ferry riders were on board to reserve that number of seats on the boat. Come 2014, we’ll have SMART coming to somewhere near the boats, that will be a big help with reliability of travel time from further north. Now we just need to get them to put the train station where it belongs – over the gate to the boat. Did I say I’d have it today? I meant as soon as I can scrape an hour together to finish it. Well, whenever it comes, it’s about the shuttle. Then comes TOD. Then comes ferry capacity. Great suggestions. (I know that years ago, GGT did operate ferry feeder routes which were eventually discontinued. It sounds like it’s time to try them again.) Also, David’s point about utilizing existing parking resources before expensively building new parking is very logical. SMART (especially if it makes it closer to the ferry landing) should help, too. Another solution would be to have a Bike Share program by the ferry terminal providing access to existing remote parking locations. Parking at marin country mart is always crowded, weekdays and weekends. It makes going there unattractive. The cost of commuting is high enough. I won’t pay for parking. I won’t pay any more for public transportation than I already do. It is too expensive as it is. When fares to ride buses and ferries are almost as expensive as driving and parking in the city, there is NO incentive to take public transportation. 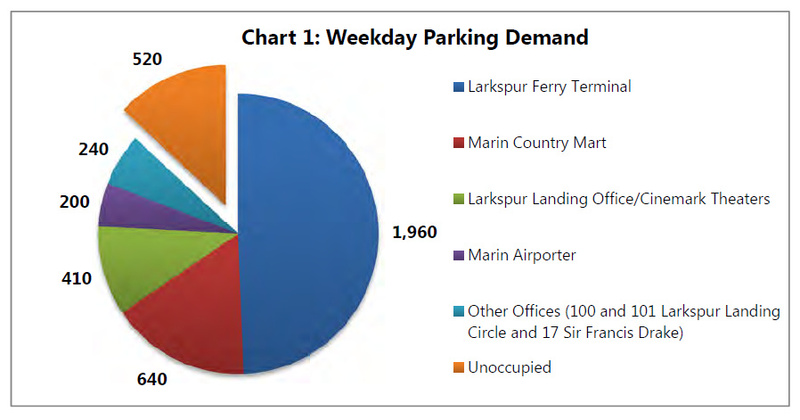 It has gotten to the point where it is not worth the inconvenience to use the ferries and buses in Marin. Public transportation has to provide a convenient service at a reasonable price, substantially less than driving one’s own personal vehicle. There needs to be a “fast pass” monthly pass like SF Muni has, that is affordable for unlimited rides on ferries and buses in Marin.